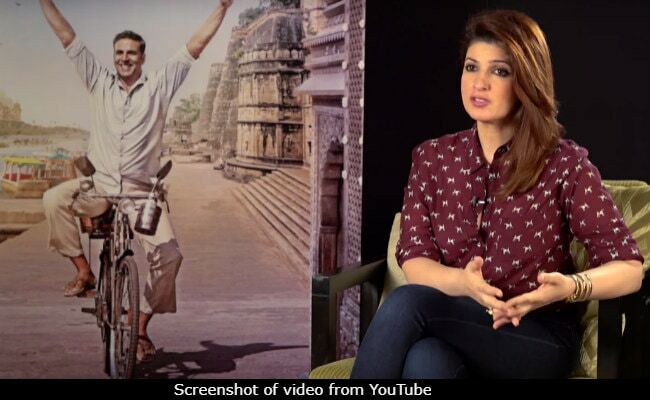 Akshay Kumar's PadMan releases on January 25 and ahead of that, Twinkle Khanna says the real life story of the real life PadMan, entrepreneur Arunachalam Muruganantham, is no less than "incredible." In a new behind-the-scenes video released by the makers, Twinkle highlights how crucially the movie addresses issues related to menstrual hygiene and periods. "When I first came across his story, I thought it was an incredible story - 1) It was a man talking about something which even women shy away from. 2) It was also about he who made a transformation from an uneducated man into an innovator," says Twinkle. The promotional video also features hilarious snippets from the sets of the movie with primarily Akshay Kumar and his goofy antics on the forefront. Akshay can be seen frying puris, doing stunts on a swing and popping a bottle of champagne on sets in the BTS video. PadMan and the video also star Sonam Kapoor as a journalist while Radhika Apte plays PadMan's wife. PadMan arrives the same day as Sanjay Leela Bhansali's much awaited Padmavat, which hits screens on January 25. Padmavat stars Deepika Padukone, Ranveer Singh and Shahid Kapoor.